Special counsel Robert Mueller's office no longer believes former Trump campaign manager Paul Manafort should get any credit for his cooperation when he's sentenced next month, a prosecutor told the judge Friday. But prosecutor Andrew Weissmann said his office isn't planning to pursue additional charges based on Manafort's alleged lies to federal investigators after he agreed to cooperate in the investigation into Russian election interference. Weissmann also said the special counsel does not intend to bring Manafort to trial in the charges that were a part of his plea agreement. 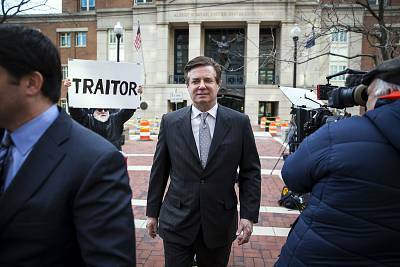 The hearing in Washington D.C. followed several competing court motionsfrom the two sides on the issue of Manafort's statements to FBI agents and prosecutors. Manafort's lawyers have argued that he did not intentionally mislead investigators. "We believe that whether there was a breach contends on whether or not he intentionally lied," said defense attorney Richard Westling. "He did not intentionally lie." Mueller's prosecutors said Manafort told "multiple discernible lies" that were not instances of "mere memory lapses." At Friday's hearing, Judge Amy Berman Jackson said she could not go through with the sentencing until the dispute over whether and how muchManafort lied to the special counsel is resolved. Manafort was convicted of tax evasion and bank fraud in August after a weeks-long trial in Virginia federal court, and a month later agreed to cooperate with Mueller's investigation by pleading guilty to two counts from his D.C. case and admitting his guilt to the remaining counts in his Virginia case. The Mueller team has said Manafort has lied about lied about a $125,000 payment he received in 2017, his conversations with a former associate who's been accused of being a Russian intelligence operative, contacts with administration officials, and an unspecified ongoing investigation. In poorly redacted court papers, Manafort's lawyers accidentally revealed that he shared campaign polling data with his associate,Konstantin Kilimnik — who law enforcement say was connected to Russian intelligence —, and then lied about it to federal investigators. On Wednesday, Manafort's lawyers said he would not attend the hearing, but the judge ruled later that day that he was required to appear. The judge did grant Manafort'srequest to wear a suit to the courtroom, rather than his prison uniform. 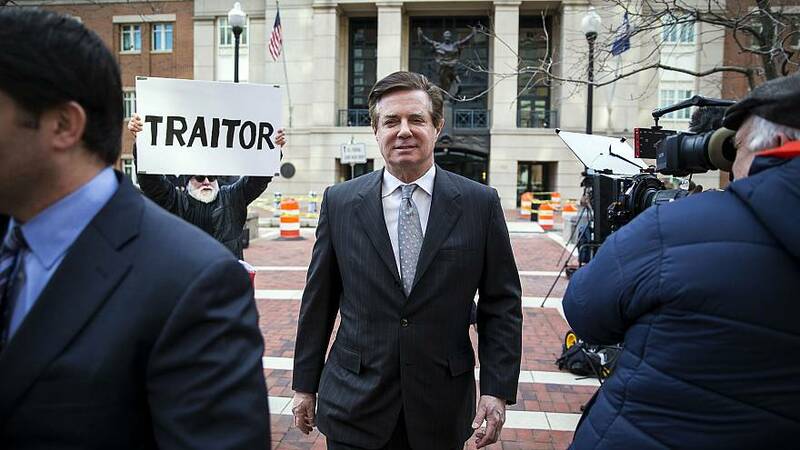 Manafort appeared in a suit, looking visibly more grey than his last appearance and walking with the help of a cane. It was revealed in court documents that he is suffering from gout. He had previously appeared at a October hearing in a wheelchair. Judge Jackson will also oversee the criminal case for Roger Stone, who was indicted Thursday and arrested hours before Manafort's Friday hearing.